Katrenia Sneed Logan is a native of Roanoke Rapids, NC. She is the daughter of the late Roy and Virginia Sneed-the fourteenth of their fifteen children. At age twenty-eight, Katrenia began preaching the good news of the gospel of Jesus Christ. The year was 1981. Since that time, she has been in demand as an inspirational conference speaker, evangelist, Bible teacher and workshop facilitator. Katrenia has written several inspirational articles which were published in Christian magazines in the United States and abroad, but A Woman's Place In A Man's World is her first book. 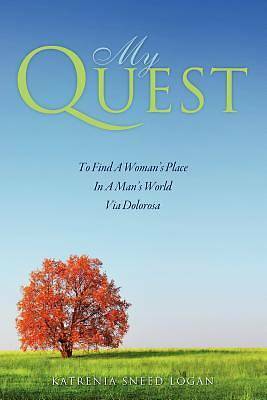 With the scholarly and insightful assistance of a lot of good men and women, she takes us on a spiritual quest from Genesis to Revelation-traveling through time and history-in search of the "elusive territory" labeled in 19 th Century America as "the Appropriate Sphere of Woman," a.k.a. "a woman's place." The author invites you to join her on this quest. "Put on your 'thinking cap' and consider what is said, when it was said, why it was said, and more importantly, who said it. As Paul said to Timothy, 'Consider what I say, and the Lord give you understanding.' That's the goal: understanding the Truth. For it is the Truth that sets us free to become all that God called us to be."